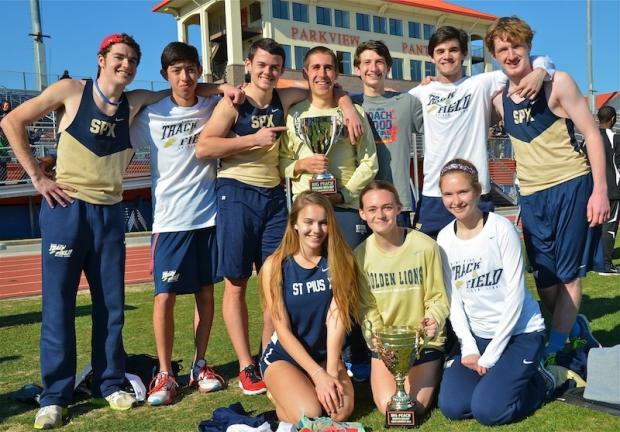 The 1st Annual Big Peach Distance Kickoff at Parkview was a huge success, with The Golden Lions of St. Pius X earning both coveted cups. 12 Teams started their 2015 seasons in the Big Orange Jungle. 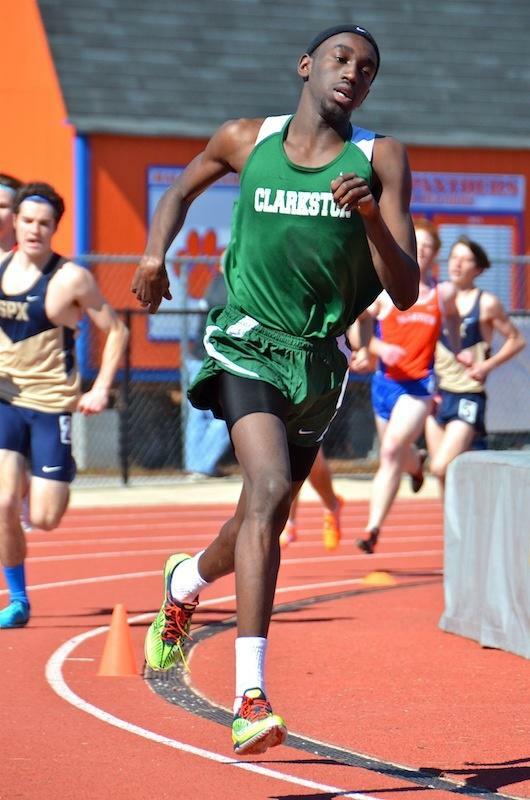 Reilly Friedman of Galloway demonstrated why, currently, he is considered the best distance runner in Georgia, winning the 5000m. 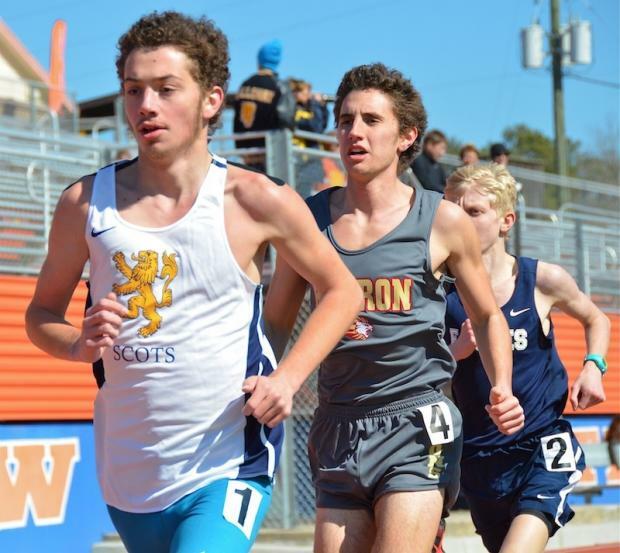 Under windy conditions, Friedman ran negative splits, which unhitched the strong duo of Trent Johnson of Hebron Christian and Noah Hulett of East Jackson. 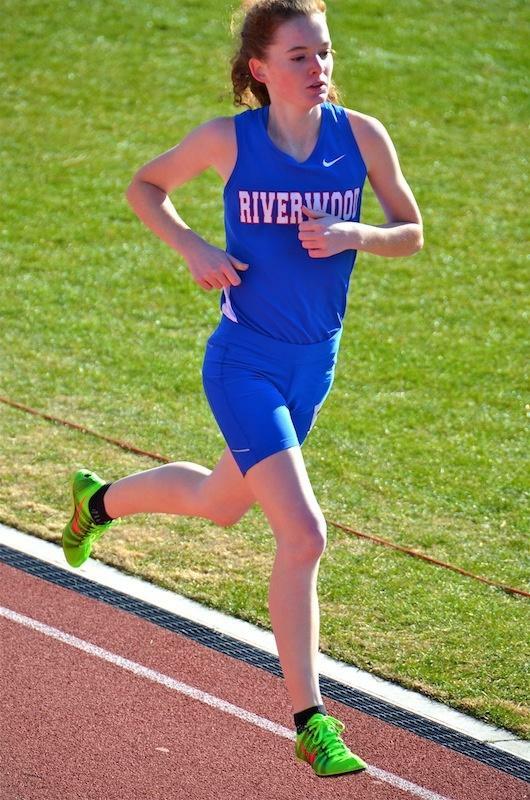 Anna Hayden of Riverwood ran a very respectable time of 18:42.76 to earn the Girls 5000m win. Melody Weiler of Parkview, Amanda Jackson of Hebron, and Olivia Escobedo of Paideia rounded out the field, and battled the wind. 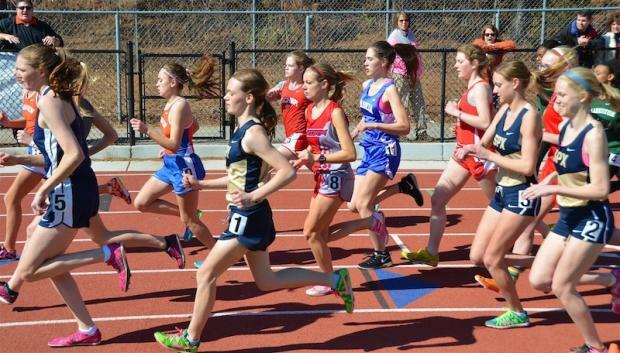 The Girls 3200m featured a strong field of 14 enthusiastic runners. St. Pius X duo of Rebecca Entrekin (1) and Katie Glenn (2) took the top two places. 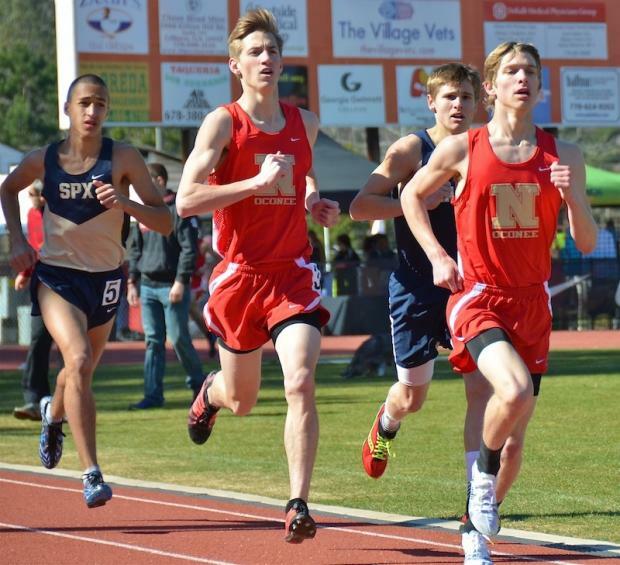 Harper Sigler of North Oconee leads his teammate, Tyler Jones, East Jackson's Chandler Kennedy, and Stephen Martinez. 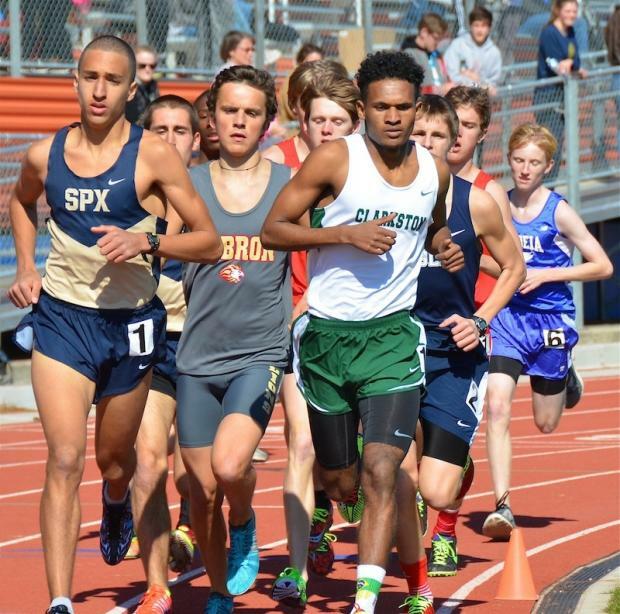 Sigler outsprinted Jones to grab the win by one second. 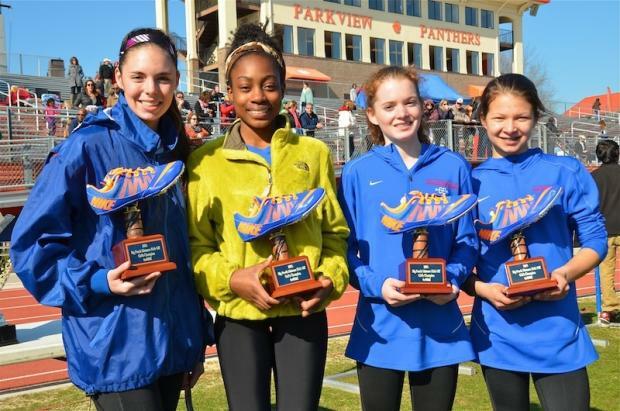 Elizabeth Graves of Riverwood floated to the Girls 1600m win over the St. Pius X trio of Katie Glenn, Rebecca Entrekin, and Emma Jayne Braxton. 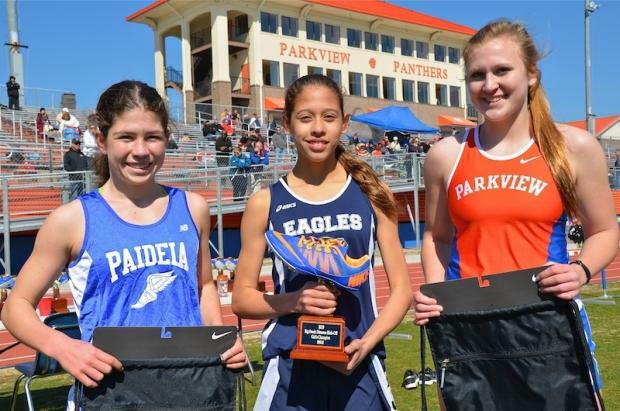 The Girls 800m top three - Freshmen Sophia West of Paideia, 2nd, and Sue Anne Moralis of East Jackson, 1st, along with Katie Kenski of Parkview. 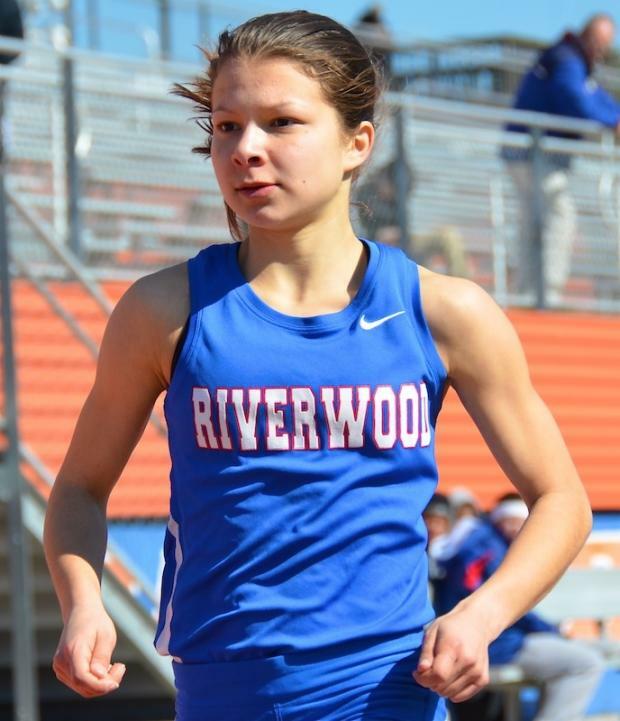 Riverwood International Charter Team was impressive, taking the win in the Girls 4x400 Relay. The unique trophies featured actual Nike spikes and were awarded to every event winner. 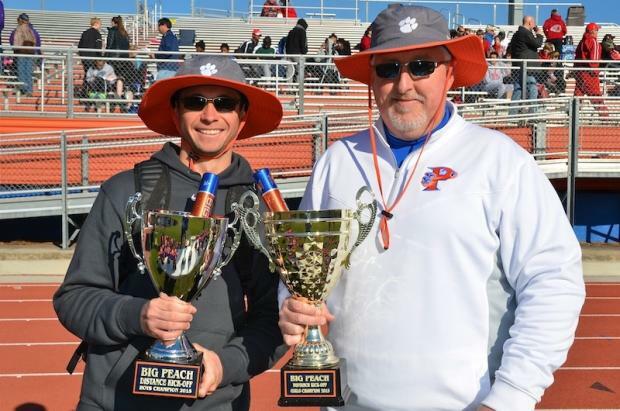 The 1st Annual Big Peach Distance Kickoff was a fun, well organized, event, thanks to Coach Demarest and Coach Henson of Parkview, Big Peach Running Company, and Nike. 3 National Elites. 12 Elites.